Please note this seminar has changed from its original date to Thursday 19 November 2015. Seminar: The manuscript collection of Sir Thomas Phillipps (1792-1872) was almost certainly the biggest private collection ever assembled, containing more than 40,000 items. After his death, the manuscripts were gradually dispersed through sales and auctions over more than a century. They are now scattered across numerous institutional and private collections around the world. Tracing the individual histories of the Phillipps manuscripts reveals much about the movement of European medieval and early modern manuscripts over the centuries, and about the ownership networks in which they circulated. It can also demonstrate the value of provenance studies for research into the history of manuscripts. Speaker: Dr Toby Burrows holds a Marie Curie International Incoming Fellowship (2014-2016) in the Department of Digital Humanities at King’s College London. 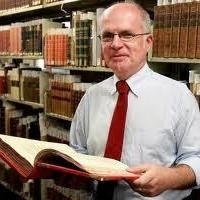 He previously worked at the University of Western Australia Library managing the E-Research Support Unit, and as Principal Librarian responsible for the Rare Books and Manuscripts Collections. He has been involved in several Australian digital infrastructure projects for the humanities, including the Australian Research Council’s Network for Early European Research and the HuNI (Humanities Networked Infrastructure) Virtual Laboratory. Other recent research projects have included “Medieval and Renaissance Manuscripts in Australia”, with the University of Melbourne and the State Library of Victoria. This seminar is open to the public. It is free to attend, and reserving a place is essential. Please meet near the Information Desk in Blackwell Hall, Weston Library (map). If you are already in the Library, you can find the Centre for Digital Scholarship on the first floor of the Weston Library, through the Mackerras Reading Room and around the gallery. Seminar: Social scientists are increasingly interested in the systematic use of text. This talk describes a method which combines qualitative content analysis with network analysis. The value of this mixed-method approach will be illustrated by a study of the changing meaning of “youth” during the perestroika period in Russia. This method allows us to trace the shifting paradigms of speaking about youth in the context of the Soviet Union’s breakdown. From the beginning of the reform period, reports about young people’s opposition to the existing political arrangements questioned the legitimacy of the Soviet order. I draw on a sample of articles from four national newspapers, the variation of which captures a vast array of the heterogeneous Soviet discourse during glasnost. Speaker: Félix Krawatzek is a British Academy Postdoctoral Fellow based at the University of Oxford’s Department of Politics and International Relations and a Research Fellow at Nuffield College. He finished his DPhil in Politics in 2015 which explores the meaning of “youth” and the political mobilization of young people in key moments of crisis in 20th-century Europe. Félix is interested in methods of text analysis and techniques to explore large corpora. 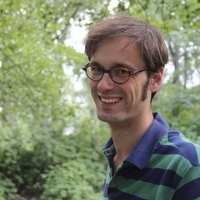 His postdoctoral project studies how ideas about the future are mobilised as political arguments and he is also involved, with Professor Gwendolyn Sasse, in research on migrants using a digitized collection of migrant letters from the 19th and 20th century. Seminar: Sonification is a complementary, but lesser known, technique to visualization. 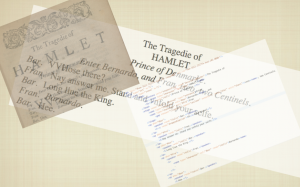 In this seminar, we will introduce the technique and discuss some applications, such as working with the texts of Shakespeare or social media data. We will discuss some of the principles in designing sonifications to explore data sets, some of the technologies used and the difficulties encountered. 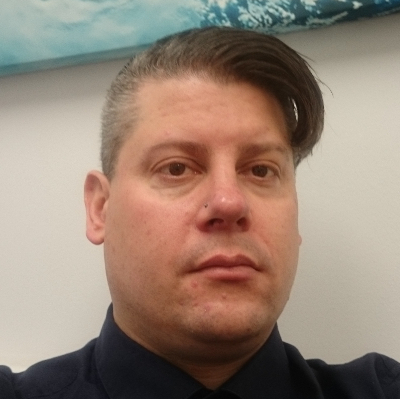 Speaker: Iain Emsley is a research associate at the Oxford e-Research Centre, working with the Software Sustainability Institute and the Square Kilometre Array. Currently reading for a Masters in Software Engineering at the University of Oxford, he has organized and attended hack sessions. His research interests include sonification. Seminar: This workshop will explore the ins and outs of running a hackathon with digital data or content. In the second part of the session, participants will engage in a mini-hackathon using Early English Books Online data, followed by a discussion of the experience. The workshop first ran as a training session at the Digital Humanities at Oxford Summer School, on the Digital Approaches in Medieval and Renaissance Studies workshop strand, convened by Judith Siefring. Speakers: Iain Emsley is a research associate at the Oxford e-Research Centre, working with the Software Sustainability Institute and the Square Kilometre Array. Currently reading for a Masters in Software Engineering at the University of Oxford, he has organized and attended hack sessions. His research interests include sonification. Liz McCarthy is the Web & Digital Media Manager at the Bodleian Libraries, University of Oxford. Her research interests include social media in the cultural sector, digital literacy, digital humanities, 17th-century bookbindings, and library history. Seminar: The Semantic Web can be thought of as an extension of the World Wide Web in which sufficient meaning is captured and encoded such that computers can automatically match, retrieve, and link resources across the internet that are related to each other. In a scholarly context this offers significant opportunities for publishing, referencing, and re-using digital research output. In this session we introduce the principles and technologies behind this ‘Linked Data’, illustrated through examples from the humanities. This is an entry-level seminar and no previous knowledge is required. This seminar first ran as a training session at the Digital Humanities at Oxford Summer School, on An Introduction to Digital Humanities workshop strand, convened by Pip Willcox. Speaker: Dr Kevin Page is a researcher at the University of Oxford e­-Research Centre. His work on web architecture and the semantic annotation and distribution of data has, through participation in several UK, EU, and international projects, been applied across a wide variety of domains including sensor networks, music information retrieval, clinical healthcare, and remote collaboration for space exploration. He is principal investigator of the Early English Print in HathiTrust (ElEPHãT) and Semantic Linking of BBC Radio (SLoBR) projects, and leads Linked Data research within the AHRC Transforming Musicology project. Seminar: Text is at the heart of many fields of digital scholarship, and understanding the production of the text we work with at scale is essential to understanding and interpreting research findings. This workshop session provides an introduction to methods and technologies of remediating analogue text into digital forms. This seminar first ran as a training session at the Digital Humanities at Oxford Summer School, jointly across two of its workshop strands: An Introduction to Digital Humanities (convened by Pip Willcox) and Digital Approaches in Medieval and Renaissance Studies (convened by Judith Siefring). Speakers: Judith Siefring is a project manager and digital editor at the Bodleian Libraries, University of Oxford. She is currently managing a Mellon-funded project, Digital Manuscripts Toolkit, focusing on user-driven tools for digitized manuscripts. 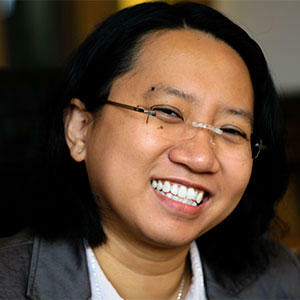 Her other particular interests within digital humanities include text encoding, digital citation and sustainability. In 2015, she convened the Digital Approaches in Medieval and Renaissance Studies at the Digital Humanities at Oxford Summer School. Pip Willcox co-ordinates the Centre for Digital Scholarship at the Bodleian Libraries, University of Oxford, and co-directs the Digital Humanities at Oxford Summer School, convening its introductory strand. With a background in editing and book history, she is an advocate for engaging new audiences for multidisciplinary scholarship and library collections through digital media. She conceived and ran the Sprint for Shakespeare public campaign and the Bodleian First Folio project. Previous projects she has worked on include Early English Print in the HathiTrust (ElEPHãT)—a linked semantic prototyping project, Early English Books Online Text Creation Partnership, the Stationers’ Register Online, and the Shakespeare Quartos Archive. She is an associate member of SOCIAM: The Theory and Practice of Social Machines and of FAST: Fusing Semantic and Audio Technologies for Intelligent Music Production and Consumption. Images are taken from the Shakespeare Quartos Archive, http://quartos.org/ of Hamlet Q3 (1611) Bodleian Arch. G e.13. Images credit: Bodleian Libraries. Seminar: In this session, we will consider how visualization can be used in digital scholarship projects. We will cover basic concepts of visualization as well as examine existing visualization techniques and applications. Speaker: Alfie Abdul-Rahman completed her PhD in Computer Science at Swansea University, focusing on the physically-based rendering and algebraic manipulation of volume models. She is a Research Associate at the Oxford e-Research Centre, Oxford University. She has been involved with the Imagery Lenses for Visualizing Text Corpora and Commonplace Cultures: Mining Shared Passages in the 18th Century using Sequence Alignment and Visual Analytics, developing web-based visualization tools for humanities scholars, such as Poem Viewer and ViTA: Visualization for Text Alignment. Her research interests include visualization, computer graphics, and human-computer interaction. Before joining Oxford, she worked as a Research Engineer in HP Labs Bristol on document engineering, and then as a software developer in London, working on multi-format publishing. The Centre for the Study of the Book has kindly lent us the Visiting Scholars’ Centre to host Digital Coffee Afternoons. If you would like to meet other people interested in working with the Libraries’ digital or digitized collections, please come along! Digital Coffee Afternoons are open to anyone with a Bodleian reader’s card. The Visiting Scholars’ Centre is on the second floor of the Weston Library. You can access it by lift, or by using the staircase nearest the Parks Road entrance. Are you thinking of developing a digital project using library collections? Do you have questions about getting it funded, what approach to take, or what might be possible? Do you want to know more about depositing your work or searching the Oxford University Research and Data Archives (ORA)? 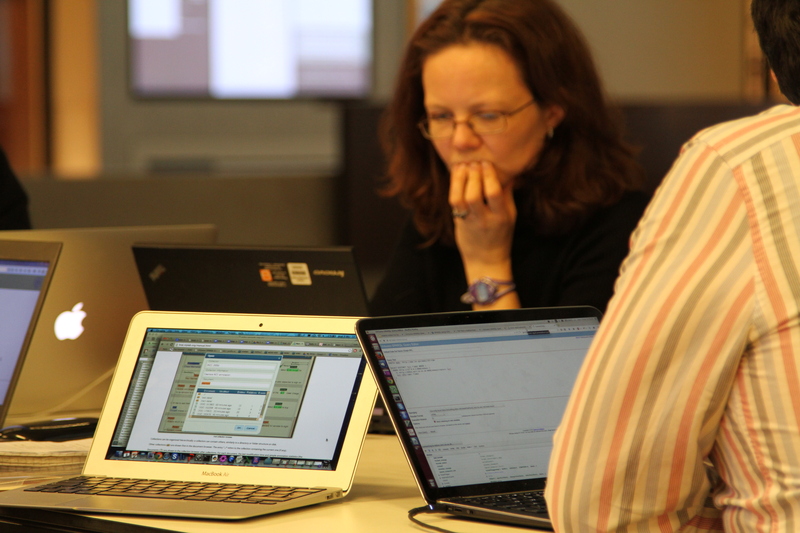 This term we will be holding regular drop-in surgeries again in the Weston Library’s Centre for Digital Scholarship. They will be held every Monday of term, and are open to any member of the University at the Centre for Digital Scholarship.You don’t need an appointment—just come along! The Centre for Digital Scholarship is on the first floor of the Weston Library. You can reach it through the Mackerras Reading Room, by going around to the other side of the balcony.